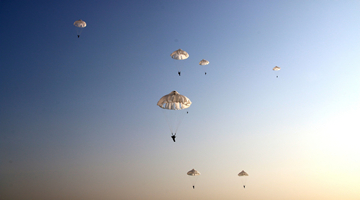 A foreign paratrooper descends to the ground with a parachute after jumping out of a transport helicopter. Teams of paratroopers are in preparation for the Airborne Platoon event of the IAG 2017 in central China's Hubei Province. 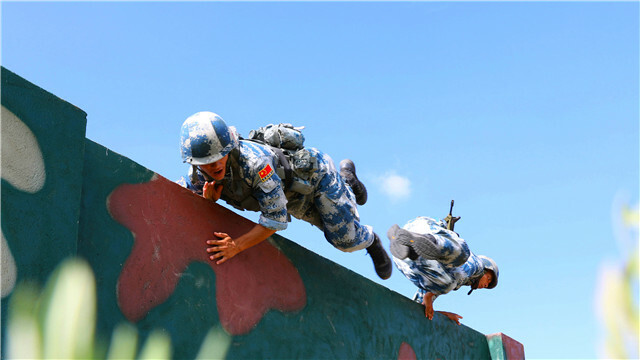 Soldiers assigned to an airborne troop with the PLA Air Force jump over a high wall obstacle during a tactical training exercise on July 23, 2017. 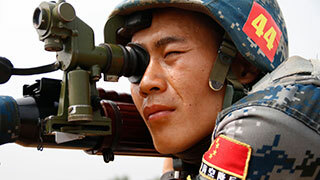 A team of airborne troops under the PLA Air Force is in preparation for the upcoming Airborne Platoon event of the International Army Games (IAG) 2017 on July 17.